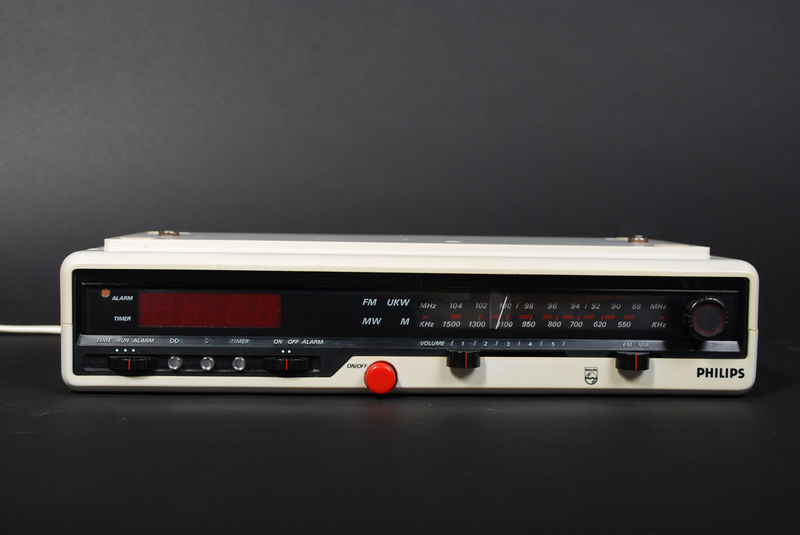 Clock Radio Philips 90AS476, 70's, Holland; Hanging radio for installation underneath a cupboard. Manufactured in 70's. Very good condition. Hanging radio for installation underneath a cupboard.